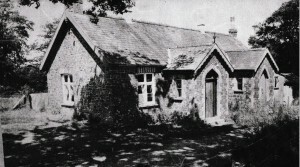 The local Village School was built in 1867 by private subscription on a site which was partly taken from the glebe, and partly from waste land by the side of the road, at a cost of £56. Many farmers contributed towards the construction using their own transport and materials. The original building was extended in 1894 by the addition of another room. The children were taught by one Teacher plus a sewing mistress and the school room was divided into two by a partition. 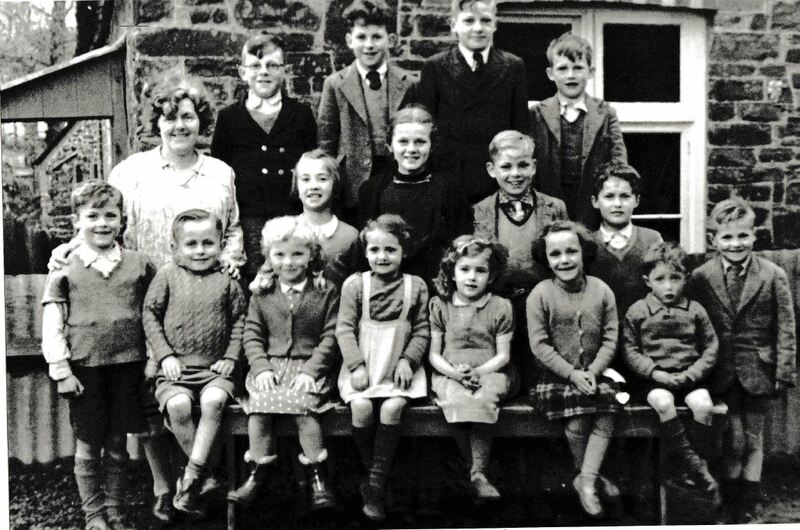 Subjects taught were the 3R’s, History, Geography, Music, Drama, Arts & Crafts, P.E. and on certain days the children would be taken on Nature Walks. Oil lamps were the only form of lighting and heat was provided by a ‘Tortoise Stove’ with the older boys replenishing it with fuel during the school day. The boys also used the nearby well to pump up enough water for drinking and to fill the flush toilets. 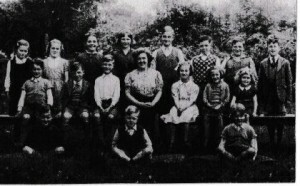 The playground for the children was by the side of the School, and was fenced in right up to the road boundary, whilst the older boys had a play area for football right opposite the school. This photograph, again of unknown date, but possibly taken about the same time as the next picture, includes the teacher, Miss Daniels. Because we have the names of the children in the next picture we know the date. 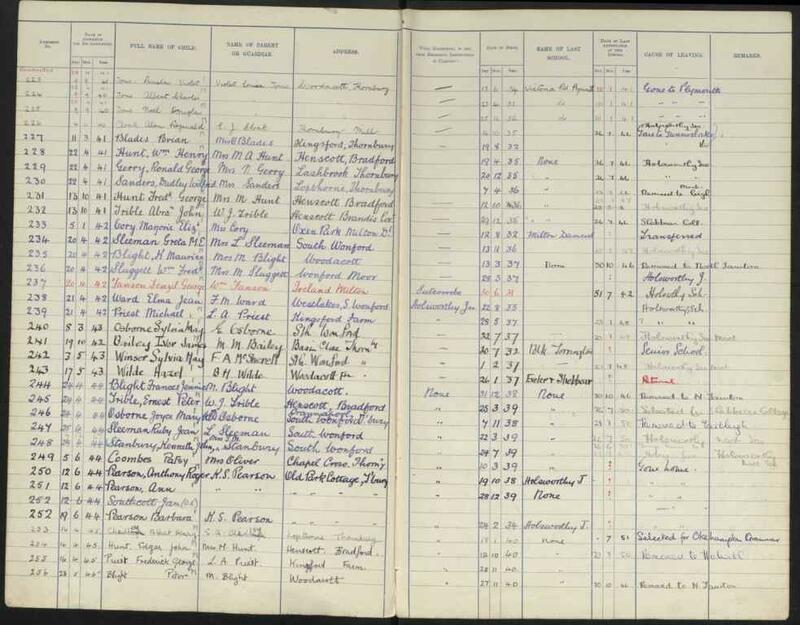 The photo must have been taken in 1949 or 50 as Phillip Reid and Brenda Sillifant both started school in 1949 and all of the Sillifant children left in 1950 as can be seen from the last page of the school’s Admissions Register. This was probably the whole school as by this time numbers had fallen dramatically from the numbers seen in the past. 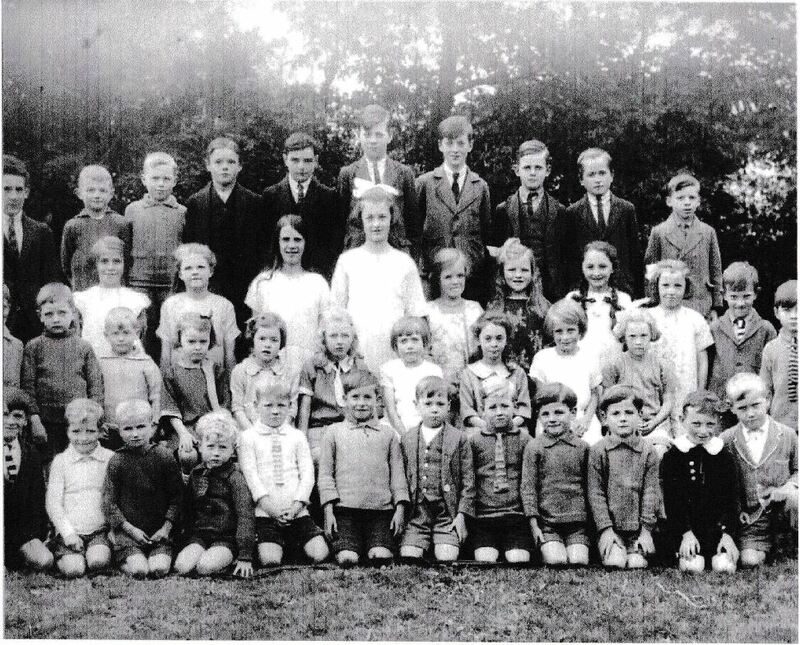 The reorganisation of education started in 1945, with the Secondary pupils being educated at Holsworthy, meaning there was no longer any need for the 11+ class of children (most children stayed at the local school until they were 14 prior to this). 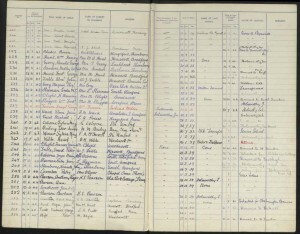 This, together with falling numbers, resulting in the school being closed in 1952. The school continued to be used as a village hall until it was no longer fit for this purpose and closed, leaving the village without a community centre.